WHAT would you buy if you were going out to own the ultimate track day car? A Porsche 911 GT3, perhaps? A safe choice, that’s for sure. There’s a plethora of Ferrari’s you could chose from or at the more extreme edge of the spectrum a Radical SR8 offers plenty of performance and proper aero, too. Or, you could do what Mathew Radisich and his father, Steve, have done and go shopping in the United States of America.. but more on that later. That Radisich surname, by the way, may sound familiar to people on both sides of the Tasman and further afield. Steve Radisich is, of course, Paul’s brother: he of two-time World Touring Car Cup and Supercars race winning fame. Mat Radisich, Steve’s son, carried on the family race driving business and forged the open-wheel pathway as a youngster, plying his trade through Formula Ford and eventually into Australian Formula 3. There, he started as a privateer before ultimately ending up driving for Garth and Leanne Tander’s TanderSport outfit when, in 2008, he posted a career highlight: pole position by 0.03s in Tasmania on a wet circuit, against a stacked field and in a previous-generation car. After Formula 3 he tested Indy Lights machinery in the United States and Formula 3 cars in Europe before ultimately turning his attention to setting up and growing the family business in Australia. Mathew Radisich leads the 2008 Formula 3 round at Symmons Plains driving a Dallara F304. PIC: Formula 3 / Dirk Klynsmith. A brief resurgence came this year at Phillip Island’s Supercars round, where he fronted in one of Terry Wyhoon’s Kumho V8 Touring Car entries for what was essentially his first race start in a decade. With budget for a sustained racing campaign not forthcoming and looking for alternatives, Radisich takes up the story at the point where he suggested to his old man that they just find something ‘fun’. “We were looking around for something fun to do, and I said to Dad ‘Why don’t we get a GP2 car?’,” Radisich told The Race Torque. “He looked at me and said ‘what would you run it in’ and that was about it for a while, but not long after he came up to me and asked ‘how about an Indy Car..’. Clearly I had got him thinking about it and got the ball rolling! 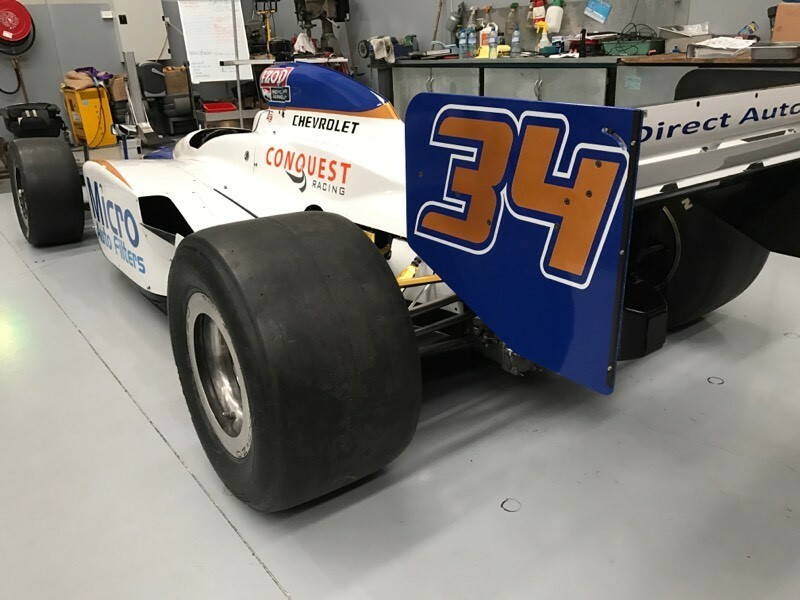 Through family connections, including those from Paul’s racing career, Steve and Mat were put in touch with former racer and team owner Eric Bachelart, of Conquest Racing. Bachelart, born in Belgium, forged much of his racing career in America, first winning the 1991 Indy Lights Championship before embarking on three years of ultimately fruitless IndyCar campaigns in the CART championship with Dale Coyne Racing a year later. Putting driving aside, he founded Conquest Racing in the late 1990s and entered cars first in IndyLights and then the Indy Racing League. Bachelart defected to Champ Car in 2003 and fielded several drivers – including Justin Wilson, and Matt Halliday – before joining a merged IndyCar series in 2008 as one of the first teams to commit entries to the united series following Champ Car’s demise. The team competed through the 2011 season prior to switching their attention to Sports Car racing in the American LeMans Series where they were also successful, before quietly fading into the background in recent years. Retaining two of their Dallara IR05 Chassis, conversations between the Conquest team owner and the Radisich family began a process that would ultimately see one of the cars in a container and en-route to the Melbourne factory of the latter. “They had two cars available and we bought one.. that’s where the dramas started!,” Radisich joked. Introduced in 2003, the Dallara IR03 was upgraded in 2007 to become the IR05, a model that would ultimately become the de facto ‘spec’ chassis for what was then the Indy Racing League and later the IndyCar series, post-merger. Though not perceived to ever be the most attractive car of its time, the car was noted for its durability and adaptability, especially given it started life as a car that raced primarily on ovals and ended it racing on a schedule dominated by road and street course events. The chassis purchased was originally acquired by Conquest in 2008 when the team shifted to the merged IndyCar series. Notably, this exact chassis was raced to fourth place by Alex Tagliani on the streets of Surfers Paradise that year, in what would turn out to be the series’ final trip down under. In full road course specification, the chassis last competed when IndyCar made their final trip to Japan in 2011, driven at Motegi by Brazilian journeyman Joao Paulo de Oliveria. Having sat idle since Conquest closed their Indy team in 2011, the car selected by the Radisich family was almost entirely complete when it arrived in Australia. “The car was pretty good. It had sat in Eric’s factory for a few years to that point but basically it was as it runs, less engine. It was in almost show-car specification but still had all of the good bits sitting on it. In 2011 the entire Indy Car field utilised a control Honda HI7R 3.5-litre V8, developed by Honda Performance Development in California. The normally aspirated engines were operated under a lease arrangement, the company fastidious about leasing their engines outside of their contracted partners. Apparently, a pool of just six engines are available to customers when they wish to demonstrate the appropriate vehicles. Despite the shift to the current 2.2-litre V6 twin-turbocharged engines with the advent of the Dallara DW12 chassis in 2012, sourcing a like-for-like power plant for the Radisch’s car proved impossible. Fortunately, there was an alternative – again provided by Bachelart. 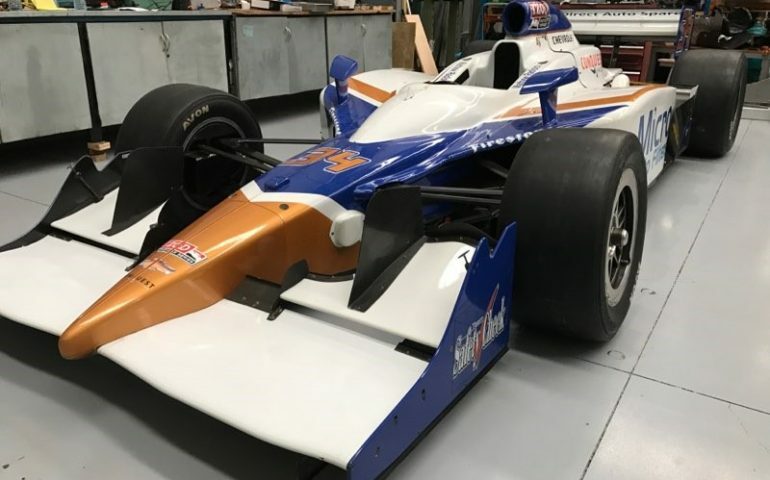 “We were told that the Dallara would accept both the Honda engine and the Chevrolet Engine that was raced in the IRL in the 2000s. Fortunately though Eric we were able to source one of the few remaining ‘Gen 3’ Chevrolet Indy V8’s around. 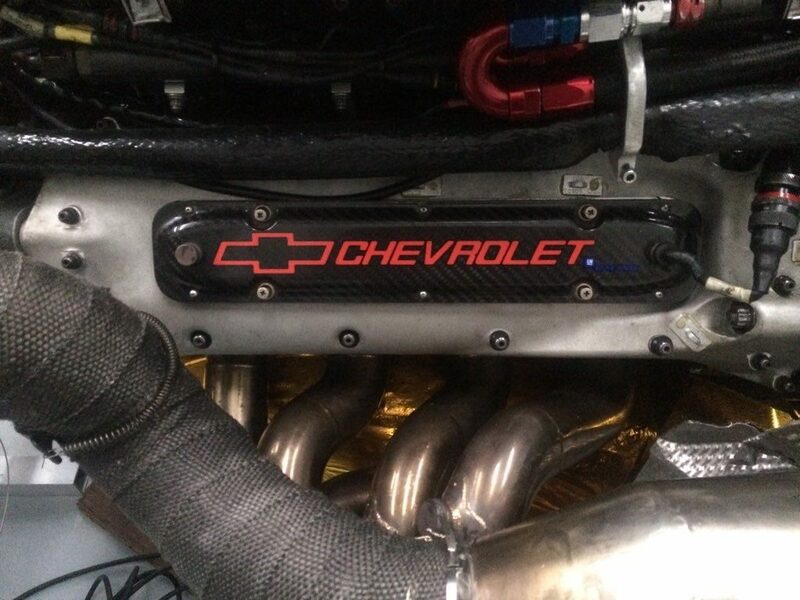 The 3.5 litre ‘Gen 3’ engine was developed in-house by Chevrolet for the regulations introduced for the 2003 season and represented a significant performance increase over the existing engine. At the time, it was quoted as weighing just under 130kg and producing ‘more than 675hp’. “There were lots of the ‘Gen 2’ engines but they don’t bolt in,” Radisich added. “The engine we sourced worked in so much that it fitted the car, though things like the (mounting) studs, oil and water pipes, the input shaft and much more required so much work to make it work. While it was an effort, the rewards will be serious with the engine creating a spectacular fireworks show each time it is run. But it’s also not uneconomical. “We’re running the engine to a limit of 10,500, which is 2,000rpm below the actual limit,” Radisich confirmed. As always with retro-fitting current racing cars, sourcing electronics would also prove a challenge. “The hardest part was sorting the ECU (Engine Control Unit) and the electronics. There was a lot of IP that Chevy or Cosworth weren’t particularly keen to give out. With the car arriving in 2016 and engine soon thereafter, the process to combine the two with the end goal of ending up with a working Indy Car was a lengthy one. 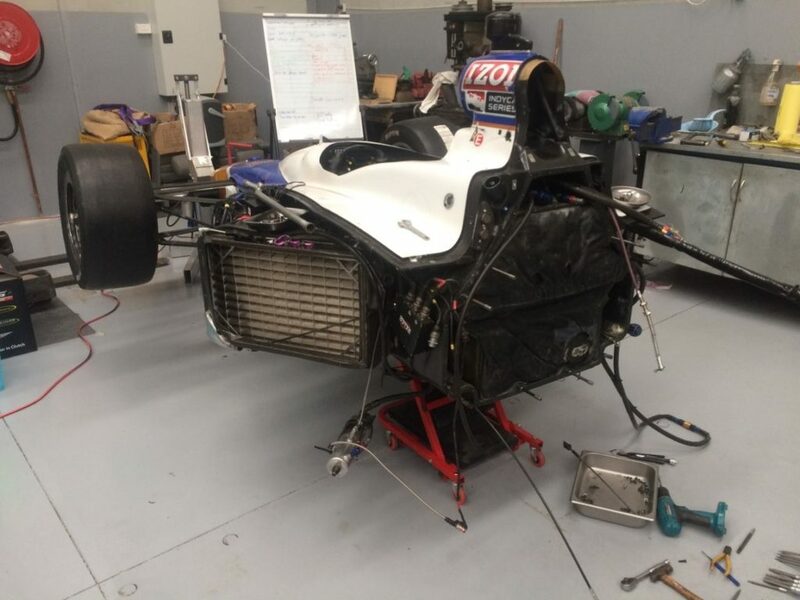 The car ran on the dyno for the first time earlier this year before a brief shakedown at Phillip Island that, ultimately, didn’t go particularly well. “The first run wasn’t great,” admitted Mathew. “We did three laps and got towed back every time. “We had small problems with ECU in the form of a struck throttle switch. I’d head towards turn one at 100% throttle and the car thought it was stuck open, so it shut if off. 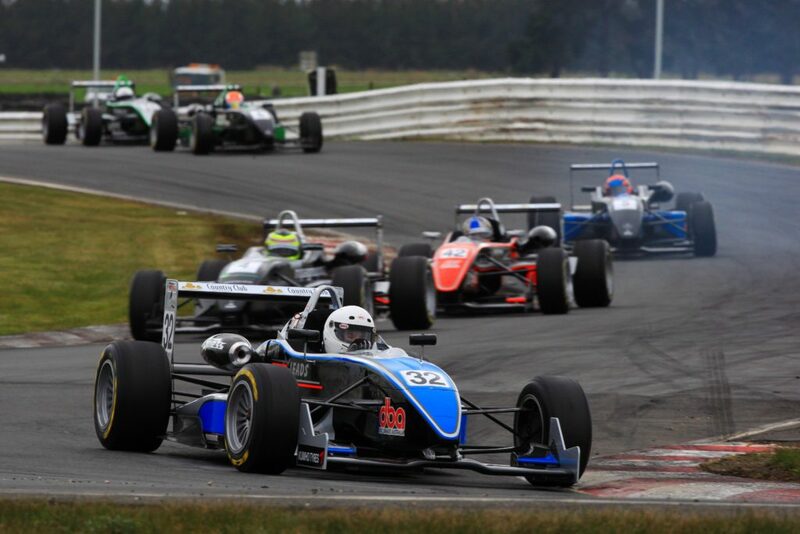 A more recent run at Phillip Island last weekend (September 8) proved more fruitful when, all the while dodging Formula Fords and Formula Vees, Radisich was finally able to experience a proper Indy Car at something resembling proper speed. “When we went out for the first run on Saturday morning it was good..” he beamed. “It was a huge moment and to be able to make it back and not be towed back was a bonus. “We’re still learning a lot. We found out there wasn’t enough cooling protection around the rear bodywork so when we came in it would catch fire! “But it was a huge moment. The speed… catching those Formula Ford’s was something I prepared yself for but you just can’t realise how much faster it is actually going to be. While reluctant to confirm times, and acknowledging that it was merely a systems check more than a full-on test, Radisich hinted the car was already at close to Formula 3 pace despite running well, well beneath anything resembling it’s true potential. “At a rough estimate, we think it should do Phillip Island in anything from 1m18 to 1m20s,” he said. Going again is next on the Radisich family plans for this ultimate of track day weapons, and those currently holding Australian circuit lap records may want to take a photo of their benchmark sooner, rather than later. “The plan is to just go and have fun with it, go around Australia and see if we can get some lap records,” Radisich confirmed. “We’ll decide what we’re going to do from there. “It’s been a dream of mine to run at Indy so I’d love to take the car back to the ‘States and run at the Historic event there. The proud New Zealand heritage of the Radisich family means the car may head across the Tasman, too. “I’d love to take it to New Zealand, depending on what tracks are available. In the meantime, keep your eyes out for a grinning ex-pat Kiwi, his dad and a Dallara Indy Car storming around a race track near you. It’s unlikely you’ll miss it.